Who says you need a gym when you can get high intensity, quick fat burning workouts done in the comfort of your own home? The truth is, some of the best workouts around can be at home with little or no equipment. For a few months each year, my workouts will consist of working out at home or at a park. I bring a few pieces of equipment, my own bodyweight (of course), and then get creative. And now I will teach you to do the same! There are hundreds of fat burning exercises to choose from that don’t require you to have an expensive gym membership or fancy gadgets. Your own body is the best piece of exercise equipment. 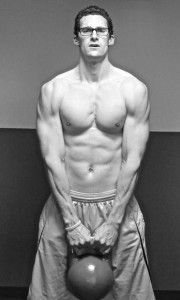 Nothing can really beat fat burning workouts that include push-ups, pull-ups, burpees, bodyweight squats, and sprints. Those five exercises alone with bring you serious fat burning results! In order to get the most out of your home fat burning workouts, you first must have a plan of action on how you are going to do it. Working out at home is many times more tough than going to the gym because of all the distractions. A home is a place for rest and family. A gym is a place for working out. That said, when you are working out at home you must treat it as though you are at the gym. If you hear the laundry machine go off in the middle of your workout, there is no need for you to go change it until after your workout is done. One of the biggest distractions you will run into is family. It seems as though every time you try and workout, someone comes running in needing you at that exact moment. Make it clear to family members that when your workout starts, you don’t want to be bothered (unless of course it is an emergency). Yes, that is it. 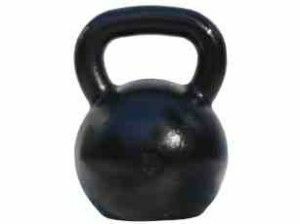 A few others you should consider if you do mind spending a little extra money are: TRX Bands, a set of dumbbells, battle rope, and a Sandbag. Keep it simple though. No need to overcomplicate by purchasing all kinds of equipment. With the variety of exercise options above, the amount of fat burning workouts from home that you can do is endless. Simply by inputting 3-8 of the exercises above into an interval or circuit format will do the trick! At Home Jumping Workout: Finish all reps of one exercise before moving to the next. Rest 30 seconds between exercises. At Home Upper Body Workout: Complete as many rounds as possible of the exercises below. Rest only when needed. Complete as many rounds as possible in 10 minutes! At Home Lower Body Workout: Move from one exercise to the next with no rest. Rest 60 seconds between full rounds! Rest 60 seconds and repeat 3 times! Complete 50 reps of one exercise before moving to the next! Finish as quickly as possible keeping perfect form throughout. Rest when needed. The five home fat burning workouts above are just a few examples of the kind of workouts you can do at home. I did not even cover workouts that involve using kettlebells or TRX bands or battle ropes. If you have these pieces of equipment, you can create even more great workouts!